PASADENA, Calif. - NASA's Cassini spacecraft has spied long-standing methane lakes, or puddles, in the "tropics" of Saturn's moon Titan. One of the tropical lakes appears to be about half the size of Utah's Great Salt Lake, with a depth of at least 3 feet (1 meter). 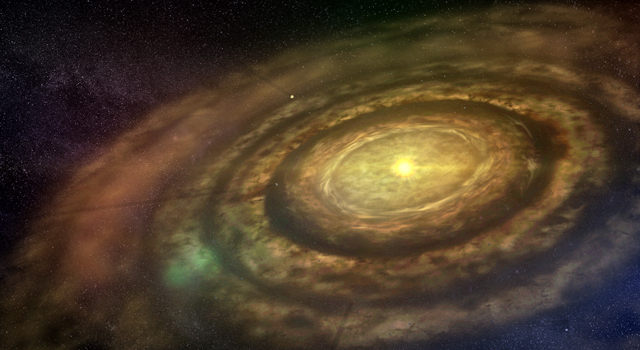 The result, which is a new analysis of Cassini data, is unexpected because models had assumed the long-standing bodies of liquid would only exist at the poles. The findings appear in this week's issue of the journal Nature. Where could the liquid for these lakes come from? "A likely supplier is an underground aquifer," said Caitlin Griffith, the paper's lead author and a Cassini team associate at the University of Arizona, Tucson. 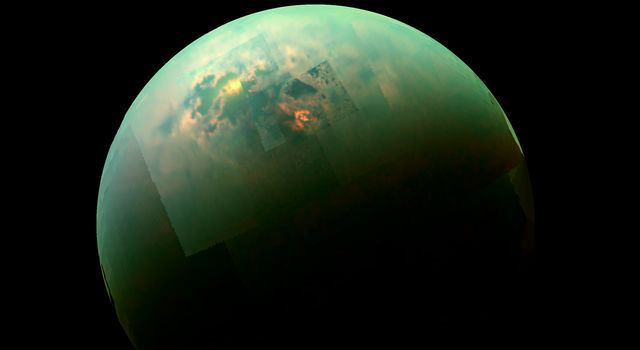 "In essence, Titan may have oases." Understanding how lakes or wetlands form on Titan helps scientists learn about the moon's weather. Like Earth's hydrological cycle, Titan has a "methane" cycle, with methane rather than water circulating. In Titan's atmosphere, ultraviolet light breaks apart methane, initiating a chain of complicated organic chemical reactions. But existing models haven't been able to account for the abundant supply of methane. Global circulation models of Titan have theorized that liquid methane in the moon's equatorial region evaporates and is carried by wind to the north and south poles, where cooler temperatures cause methane to condense. When it falls to the surface, it forms the polar lakes. On Earth, water is similarly transported by the circulation, yet the oceans also transport water, thereby countering the atmospheric effects. The latest results come from Cassini's visual and infrared mapping spectrometer, which detected the dark areas in the tropical region known as Shangri-La, near the spot where the European Space Agency's Huygens probe landed in 2005. When Huygens landed, the heat of the probe's lamp vaporized some methane from the ground, indicating it had landed in a damp area. Areas appear dark to the visual and infrared mapping spectrometer when liquid ethane or methane are present. Some regions could be shallow, ankle-deep puddles. Cassini's radar mapper has seen lakes in the polar region, but hasn't detected any lakes at low latitudes. The Cassini-Huygens mission is a cooperative project of NASA, the European Space Agency and the Italian Space Agency. 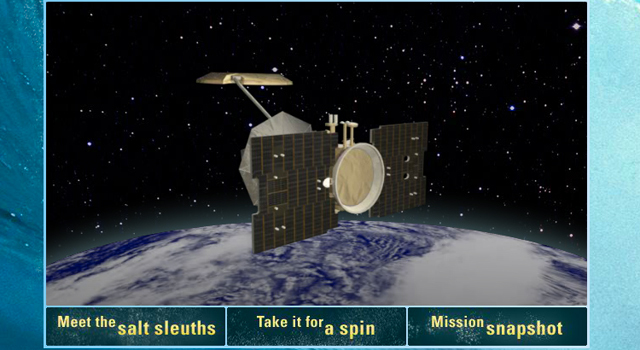 NASA's Jet Propulsion Laboratory manages the mission for NASA's Science Mission Directorate, Washington. The visual and infrared mapping spectrometer team is based at the University of Arizona, Tucson. For more information, visit http://www.nasa.gov/cassini and http://saturn.jpl.nasa.gov .